Another celebrity life has been taken by cancer. Character actor Pete Postlethwaite died this past Sunday in Shrewsbury, Shropshire, England at the age of 64. He leaves behind wife Jacqui Morrish, son Will, and daughter Lily. Born into a working-class Roman Catholic family in Warrington, England in 1946, Pete was expected to become a priest or a teacher. At the age of 11, Pete began a two-year stay in a seminary. He was also the priest in the 1996 movie “Romeo and Juliet” with Leonardo Dicaprio, by the by. 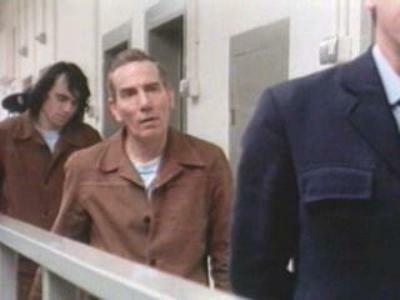 For me personally, Pete Postlethwaite will forever be Giuseppe Conlon. “In the Name of the Father” was based on the real-life tribulations of Gerry Conlon, a feckless Irishman wrongly accused in the 1974 Irish Republican Army bombing of two pubs popular with British soldiers in Guildford, England. Mr. Postlethwaite played Giuseppe Conlon, “a father in an unimaginable predicament” as The New York Times described the role, whose complicated relationship with his son (Daniel Day-Lewis) is made even more difficult when he becomes a victim of the prosecution of the crime his son did not commit. previous post: Lindsay Lohan And Sam Ronson Are Going To Be Neighbors! 50 queries in 1.533 seconds.